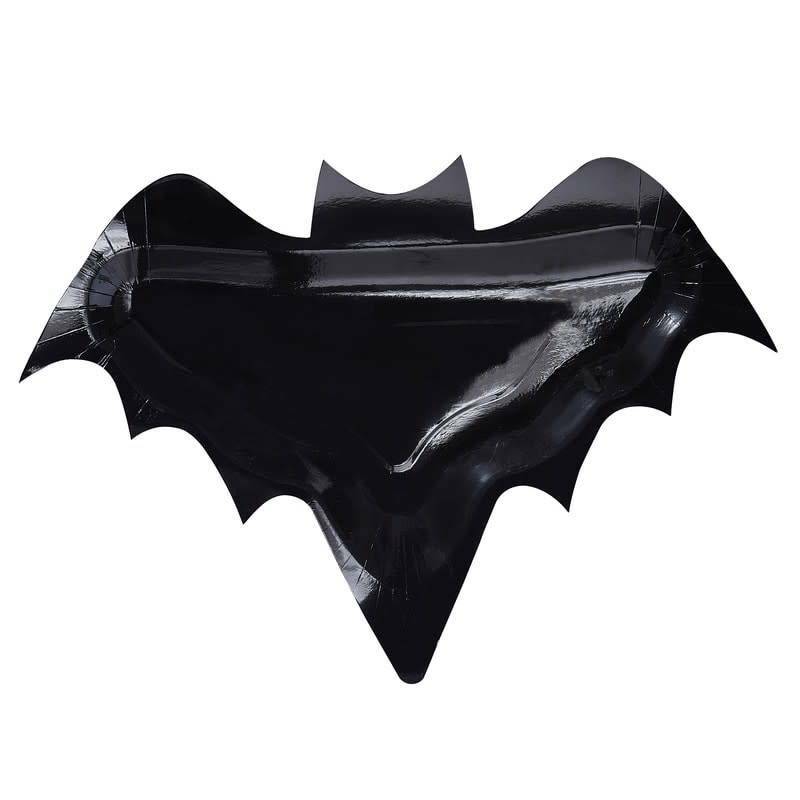 Horrify your guests this Halloween with this bat shaped plate. Perfect for spooking all your guests at your party. 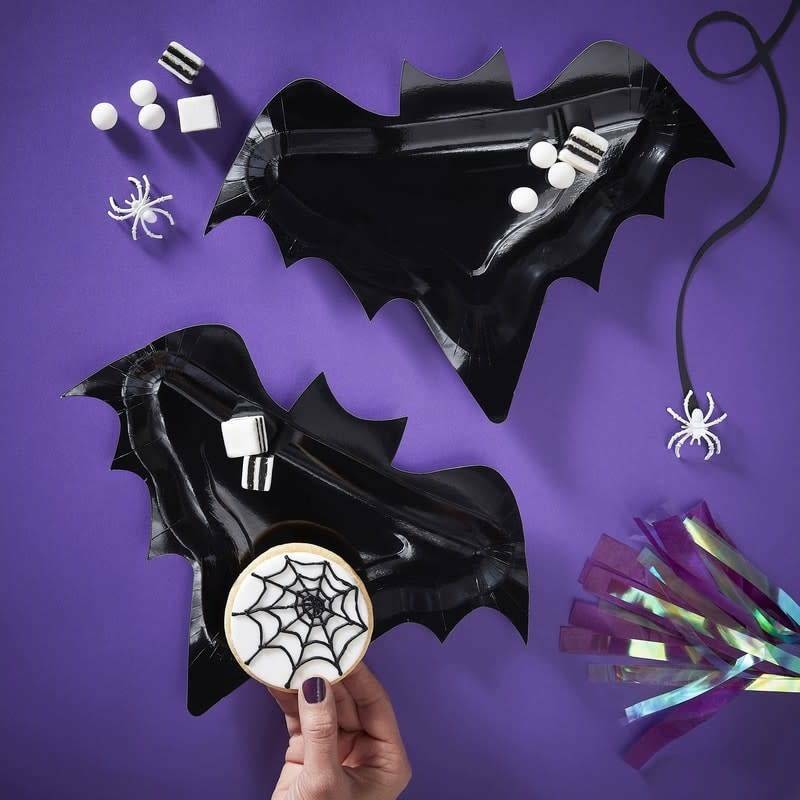 Give your guests the creeps at your Halloween party, with this bat shaped plate and decorate your table even more. Each pack contains 6 plates and measures: 32cm (W) x 23cm (H).